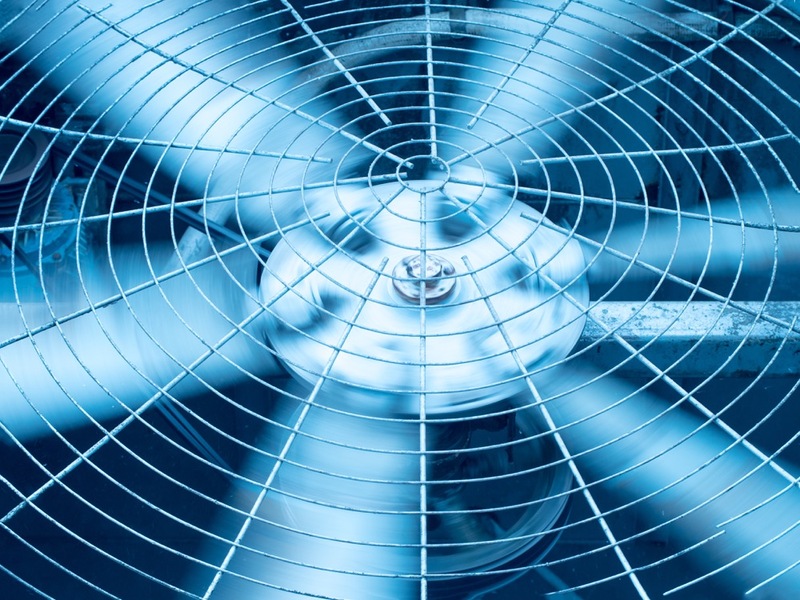 Your HVAC system controls your heating, ventilation, and air conditioning. 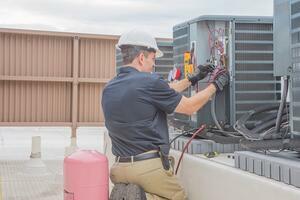 For a property manager, ensuring that your HVAC system is properly maintained can be a source of considerable energy savings. There’s a lot to watch out for. Here are a few quick tips to ensure your system is running efficiently. It’s common for a variety of HVAC parts to begin failing, but let’s start with the dampers. Dampers are a steel plate that opens and closes, allowing air to flow in or out. If these need repair, you may be able to tell from the control system graphics (if you have them) that they’re not at the position they should be (though only if you have mixed air temperature monitored). The best way is to visually observe them and ensure they are being controlled properly – as you can do this even without the control system. Repairing the dampers could be a quick fix for the maintenance crew. It could be that the control sensors have failed, or that the seals need attention. Or, an outdoor air damper could be closed, preventing outside air from getting into the building. Rooftop units or larger air handling units on commercial buildings will have air filters. Sometimes air filters are removed and not replaced, which can let in harmful dust and particles. When they do remain in place, you’ll need to ensure they’re getting cleaned and replaced at appropriate intervals. Otherwise, debris can hinder the flow of air, and the fans will work harder to compensate for it. This results in higher energy costs. Keeping them clean helps the HVAC system operate more efficiently. When filters do get removed, the equipment they’re designed to protect can come under fire. The heating and cooling coils can get clogged up, reducing performance and efficiency. If you’ve had filter issues, checking your coils is an important step in optimizing your energy efficiency. When it comes to vital parts like fans, motors, shafts, and bearings, make sure they’re properly lubricated for continued smooth operation. This should be done at intervals indicated by the manufacturer — or at a minimum, four times a year. Sometimes, the operating schedules of the equipment don’t match the operating schedules of the building. This can mean your HVAC system is running — maybe even 24/7 — even when the building is unoccupied for hours at a time. While some building operations may have constraints that prevent this (for example, food storage buildings), in many cases, you can allow the temperatures to drop between three to five degrees Celsius at night. Doing so will allow for significant cost savings when you have large heating and cooling needs. Ensuring that the controls are operating correctly is huge. You’re relying on your controls to operate the equipment as designed to optimize the amount of energy for the building: not too much, not too little. When your energy usage is higher than expected, and the previous examples don’t apply, it could be that your control signals, programming, or sensors need some maintenance. This is a more advanced step, as you’ll likely need to reach out to a controls contractor. There’s one more thing building operators should look at: balancing the ventilation and hydronics systems. It’s recommended you do this every five or ten years, since optimizing the hydronics systems is a bigger way you can address your HVAC efficiency. This process tends to find a lot of the operating deficiencies we mentioned earlier. However, the main point of balancing is to determine that the system is performing efficiently. Need a way to get started on your energy efficiency journey? An energy assessment is a vital first step in determining how much you can save through conservation, HVAC optimization, and even on-site generation. Find out more here.